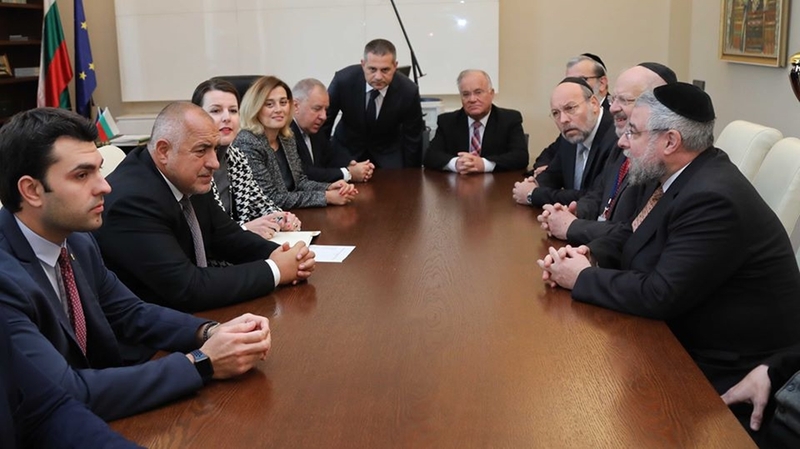 I have been in politics for 17 years and I have never seen the Bulgarian Jewish community as united as it is today, Prime Minister Boiko Borissov said at a meeting on November 6 with Pinchas Goldschmidt, President of the Conference of European Rabbis. Chief Rabbi Goldschmidt expressed gratitude to the Bulgarian government for its support and solidarity that the country extends to the Bulgarian Jewish community. In other parts of Europe, there was a rise in antisemitism, in contrast to Bulgaria, a government statement quoted him as saying. 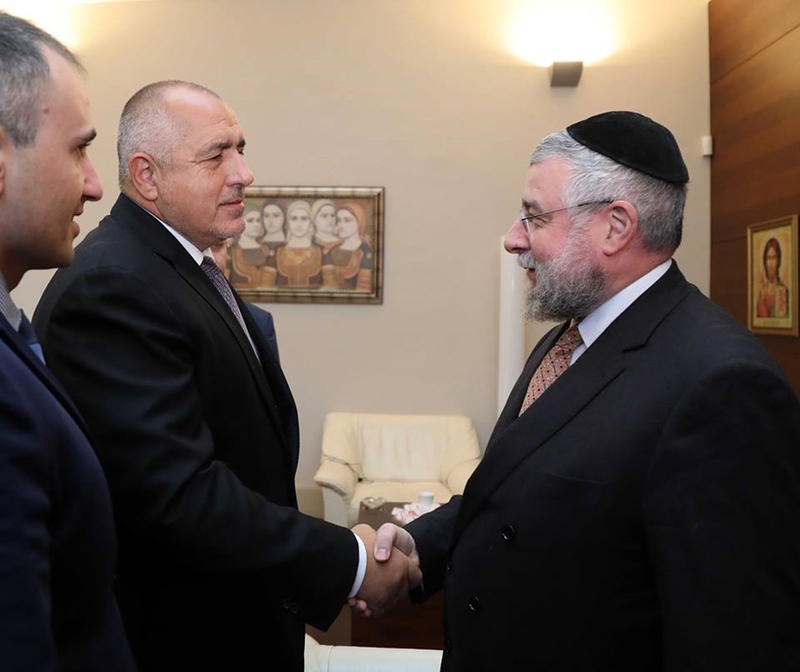 Borissov praised the strength and unity of the Bulgarian Jewish community and underlined that he was very impressed by its active role in civil society, adding that it was well-respected in society as a whole. He noted that the country had a National Co-ordinator for Combating Antisemitism, a post held by Deputy Foreign Minister Georg Georgiev. The feat of the Bulgarians in rescuing the Bulgarian Jews from the Holocaust should not be forgotten, Borissov said, according to the statement. The meeting was attended by the President of the Organization of the Jews in Bulgaria “Shalom”, Associate Professor Alexander Oscar, Sofia Cohen, President of the Central Israelite Religious Council of Bulgaria, Viktor Melamed, head of the Sofia office of the American Jewish Committee and business executive Nikolai Gulubov, as well as by Deputy Minister Georgiev. 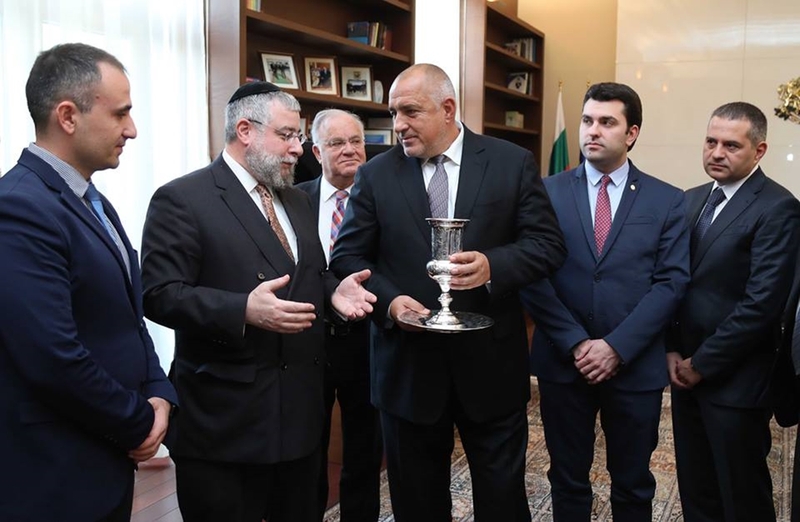 Dr Oscar presented Borissov with a jar of honey made by Gulubov’s firm, an Israeli company in Bulgaria producing honey for the market in Bulgaria and elsewhere in Europe. He said that this symbolised not only health but also the responsibility to preserve nature, and that as bees are essential to the preservation of human life, so too the spirit of the rescue of the Bulgarian Jews 75 years ago should be preserved and continued, along with the responsibility to fight xenophobia, nationalism and intolerance today. At the meeting, Borissov was invited by the Conference of European Rabbis to participate as an honorary guest at their working session at the Munich Security Conference in February 2019.